Remember the Mind Body and Soul yoga-finance retreat I blogged about previously? Well here's another one that's perfect for busy people from the Metro since it's only a half-day event at the Forbes Park Pavilion in Makati... The Beach Body Project. Such a steal since you'll get 5 workshops for only the cost of 1 yoga session. 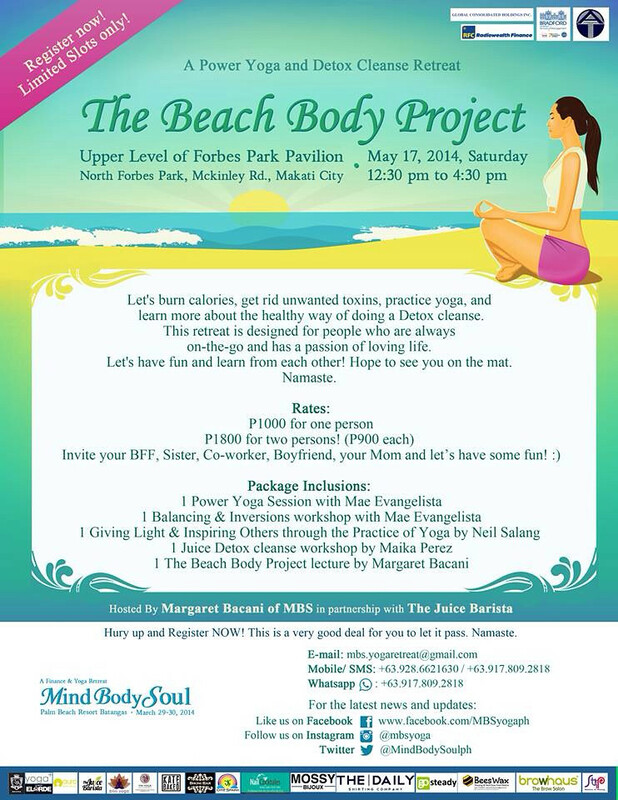 To register, visit Yoga Plus Ortigas or Yoga Plus Makati.